Love greetings to all of our family during the holidays, during these incredible times we live in - the winter solstice and the final days of the 13th Baktun. We at Running Buffalo Journeys are partners and family with Xochitl Ashe and her father Inti Guzman, Mexican Peruvian Super Family designers of Create Awake jewelry. We share a mutual mission to honor and celebrate the many paths of our ancestors, while mixing in new technologies for the betterment of our daily lives. We envision a world where we all live together, happy and thriving. Running Buffalo Journeys contributes with creating trips around Mexico and Central America that connect individuals to their true essence by expanding their awareness of themselves and the world. 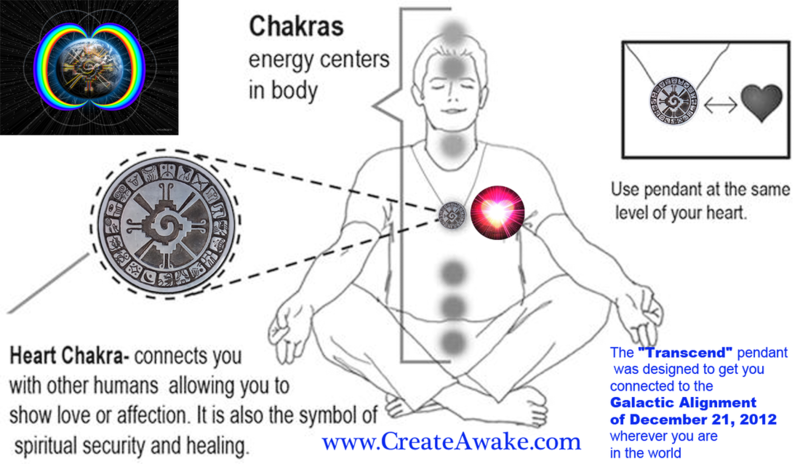 Create Awake, designs jewelry that awakens people to their true potential. 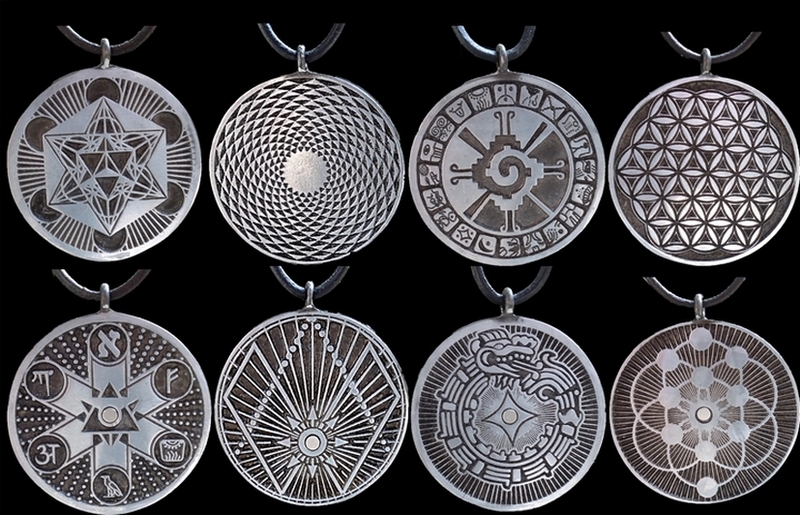 These necklaces are more than just beautiful jewelry with ancient symbols!!! 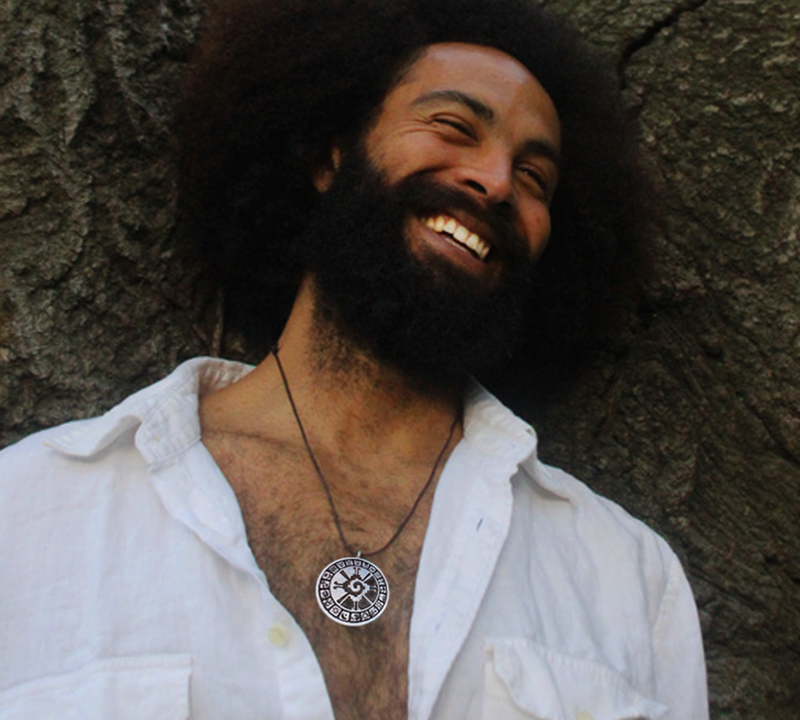 Just like our human body has a magnetic field, so do these pendants, and they are made specifically to balance and strengthen our bodies electromagnetic field, while reducing the effects of harmful frequencies on the body (EMF frequencies from cell phones, TV’s, computers, etc*). This father-daughter combo has created something special that really helps us connect with our hearts. They make great gifts, for yourself and others!!! We love ours!! 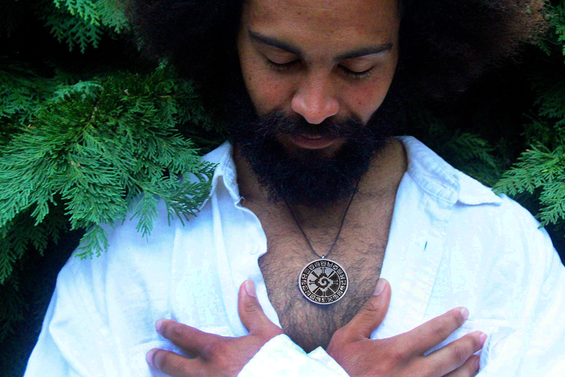 The Transcend Pendant is truly one of a kind. The front depicts the Mayan "Hunab Ku" and the 20 Sun Seals in stunning clarity. 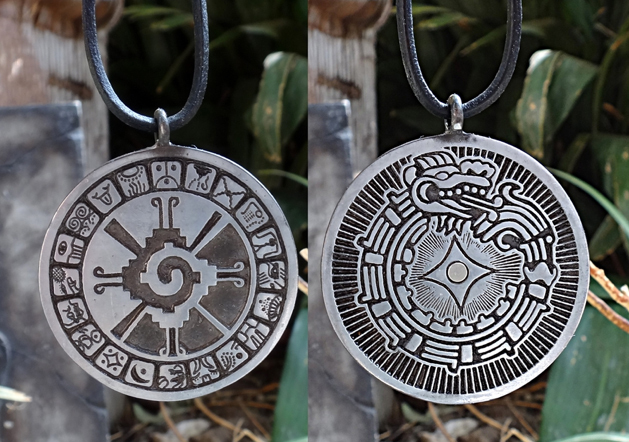 The back shows the Quetzalcoatl, also called Kukulkan, Kundalini, and Ouroboros, encircling Venus. 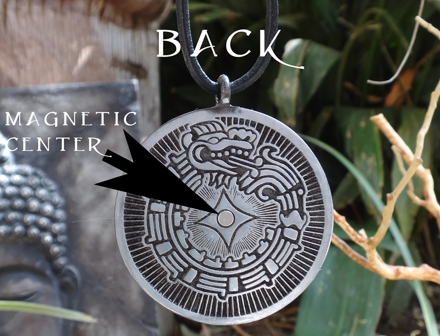 Our design was created to get you connected to the Galactic alignment of December 21, 2012 and beyond. 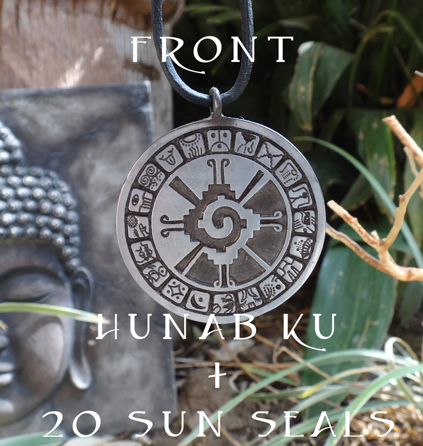 Transcend- Connect to the center of the Universe "Hunab Ku"
Hunab Ku is THE Mayan symbol that unites the opposites into one: male and female, dark and light, yin and yang, conscious and unconscious, internal and external. 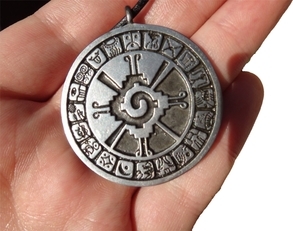 Mayan Prophecy states the sun will align with Hunab Ku (the galactic center of the universe) in 2012. "Hunab" translates to "One State of Being"
while "Ku" literally translates to "God". Transcend patented magnetic, sound, and light vibration technologies can increase your strength and balance. They can be understood as archetypes or behavioral patterns from a Psychology perspective. As in Western Astrology, they can be seen as Astrological signs. They are actually Mayan glyphs with vibrational energies that indicate your mission in life. 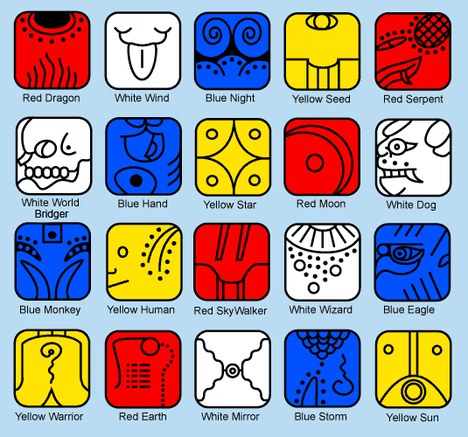 Everyone embodies one of these 20 Sun Seals depending on their date of birth; and, your energy sign has a specific frequency for genetic code activation. -Each pendant is hypoallergenic and made from a combination of copper, zinc, and magnesium, which makes it a great transmitter. They are 1 and 3/4 inches in diameter and simply beautiful. 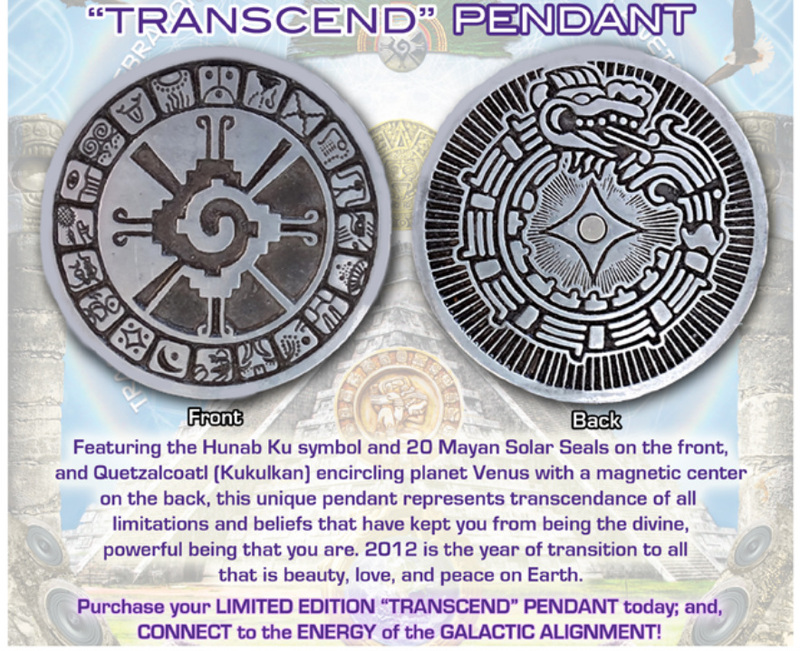 Transcend- Quetzalcoatl and Living from the Heart. The back of Transcend depicts a symbol you can find pretty much anywhere, in some shape or form. 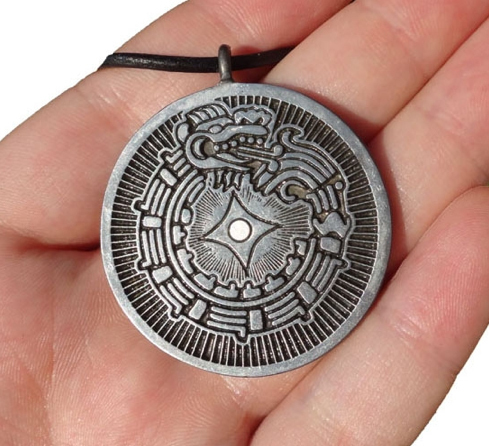 It's known as Quetzalcoatl, Kukulkan, Kundalini, and Ouroboros. 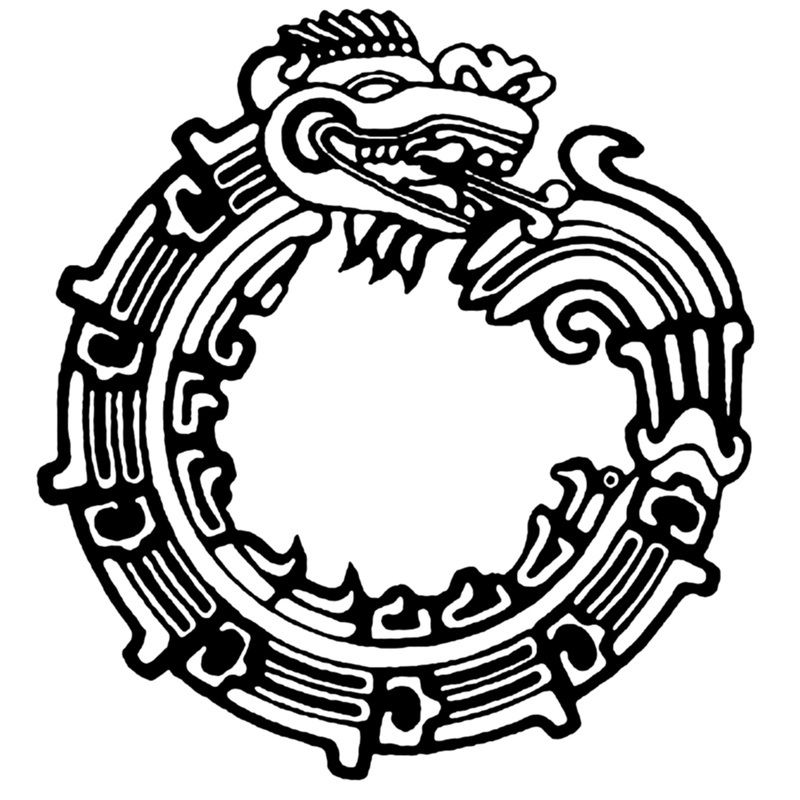 It is a feathered snake eating it's tail, representing the perpetual cycle of life renewal and infinity. -Each pendant is hypoallergenic and made from a combination of copper, zinc, and magnesium, which makes it a great transmitter. They are 1 and 3/4 inches in diameter. Visit our Etsy store for more Sacred designs. 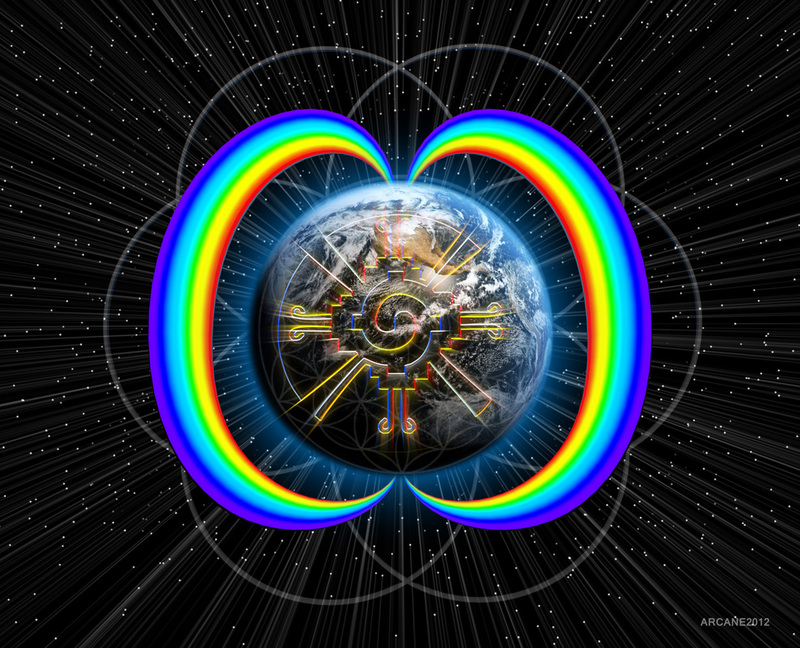 May this Galactic Alignment bring much joy, health, love, and ABUNDANCE to you and yours. All information, images, logos, jewelry, and designs are copy written or protected by Trademark/Patent. Thank you for respecting our creations, our website, and written material. Much love & light.